These booties from Cherub Shoes are easily one of my favorite gifts to give (and was a favorite to get when my daughter was a wee one). 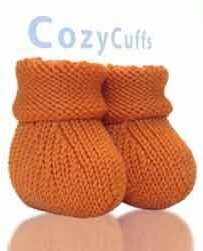 They are so perfect for those cold winter months and have the extra something that makes them special. Oh, and they are all an extra 20% off right now!